When it comes to “Turkish delight,” the description applies aptly to both the eye-popping colored candies and to the splendid treasures found at the crossroads of Europe and Asia. 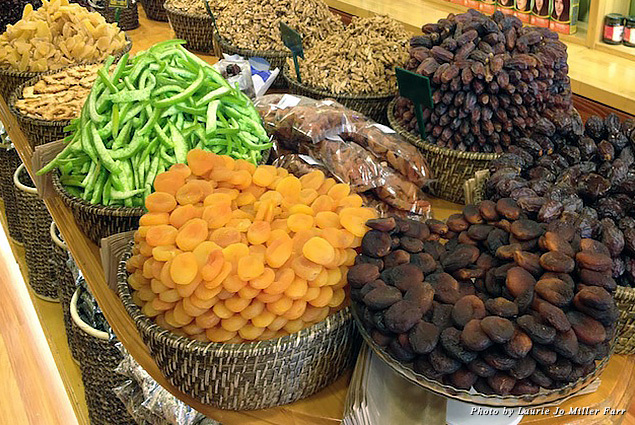 Start your journey into antiquity by stocking up on chocolate-coated pomegranate Turkish Delight or bag some dried dates and apricots as sightseeing fuel at Istanbul’s sprawling, frenzied 15th century Grand Bazaar. 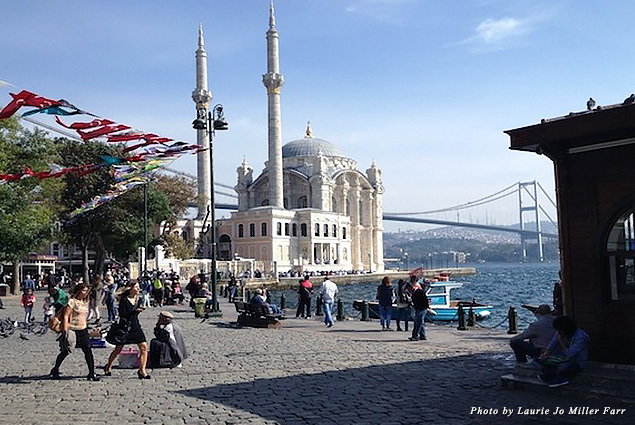 On historic Istanbul’s UNESCO World Heritage Site timeline, 500-year-old landmarks are considered fairly new, but Old Istanbul should not be overlooked. The beautiful Bosphorus Strait divides Istanbul—formerly known as Byzantium, then Constantinople—the largest and wealthiest city on the European continent during the Middle Ages. 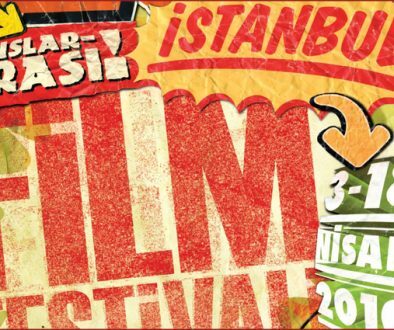 Istanbul visitors find the sightseeing agenda focuses on the European side of Turkey’s largest city. 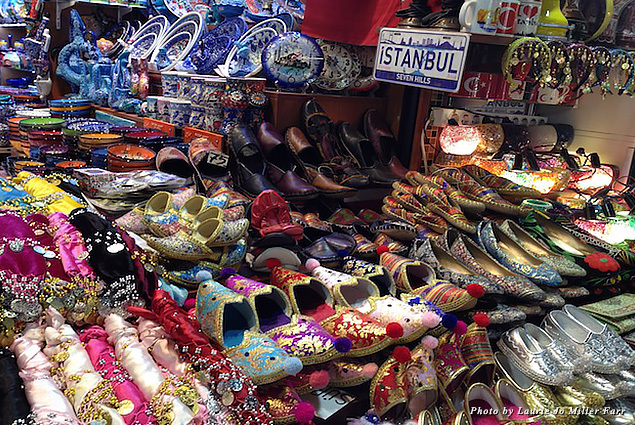 Istanbul is credited with a flow of more than 91 million visitors a year, and it can feel as though they’re all at the Grand Bazaar on the same day as you are. Stick to a genuine sense of place, found by looking deeper into the labyrinth of interconnected tunnels to find working craftsmen at their stalls. The bazaar encompasses a 60-block swathe inside the ancient walled district, where theatrical vendors separate tourists from locals in the blink of an eye. It’s not considered rude to walk on by. 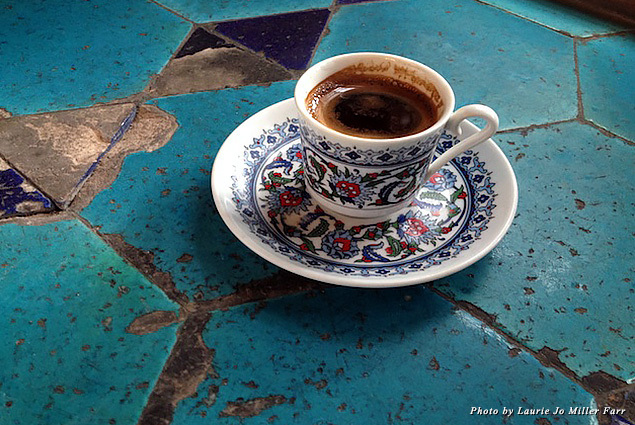 Beware that by accepting the offer of a taste of Turkish tea, only the most robust negotiators can make a getaway without a souvenir. 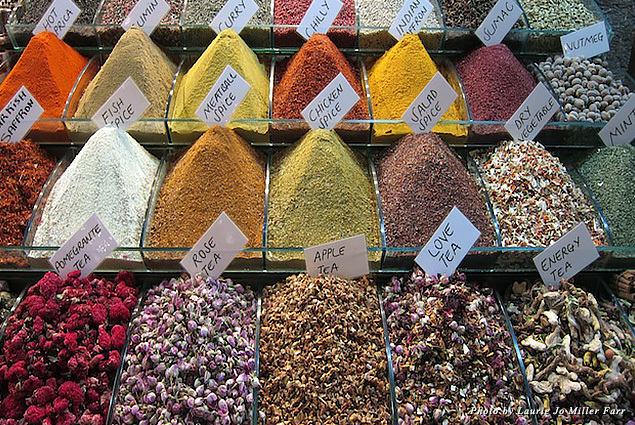 The word “bustling” is redefined as is the expression “the spice of life” at Istanbul’s No. 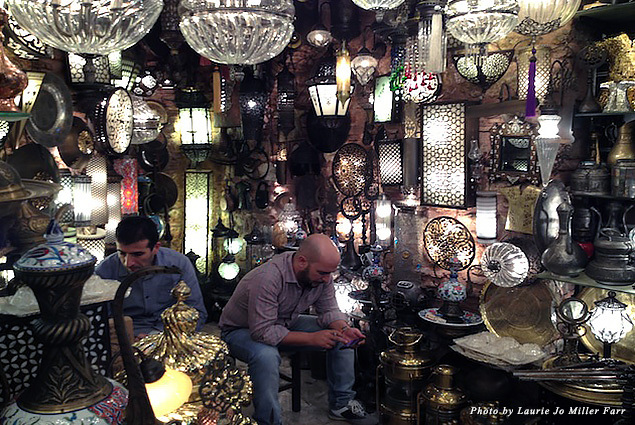 2 market, the Egyptian Spice Bazaar, where Instagrammable pyramids are both enticing and aromatic by design. When claustrophobia takes over and your toes have been sufficiently stepped upon, a sit-down lunch with waiter service beckons at Pandeli, a cultural touchstone for international travelers strategically located next to the exit. While women will want to keep a headscarf handy for entering mosques, Hagia Sophia is an exception; it became a museum in 1935. In remarkably good condition, the 6th century structure was unsurpassed as the largest place of worship on Earth for 1,000 years. Its turnover has encompassed Eastern Orthodox cathedral, Roman Catholic church, and imperial mosque while withstanding earthquakes, crusades, sackings, and invasions. Position yourself under the massive dome to feel the heady weight of nearly 1,500 years. 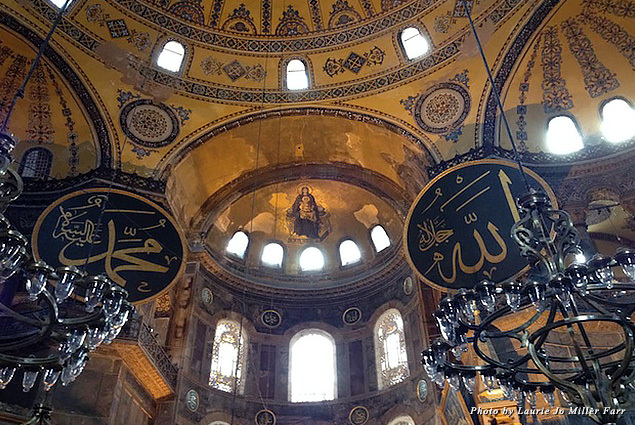 Illuminated by 40 windows, Hagia Sophia invites visitors to observe stunning interiors in steel gray and gilt and admire chandeliers, frescoes, thousands of mosaics, and calligraphy inscriptions of holy names. 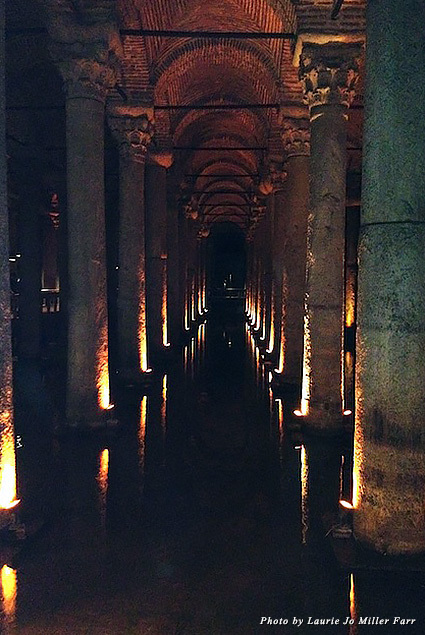 Adjust your eyes to the darkness while descending 52 stone steps into the underground reservoir, one of hundreds that once provided filtered water to Constantinople. This one served Topkapi Palace, home to Ottoman sultans from the mid-15th century. Built by thousands of slaves in the 6th century, the Basilica Cistern is a vast cathedral-like chamber with a forest of 336 carved marble columns symmetrically positioned. A big surprise? Carp swim in the still waters beneath your feet. Unless you’ve visited outer space, you have not seen anything quite like the landscapes of eastern Anatolia in Central Turkey, 450 miles east of Istanbul. In some places, it’s positively moonlike. 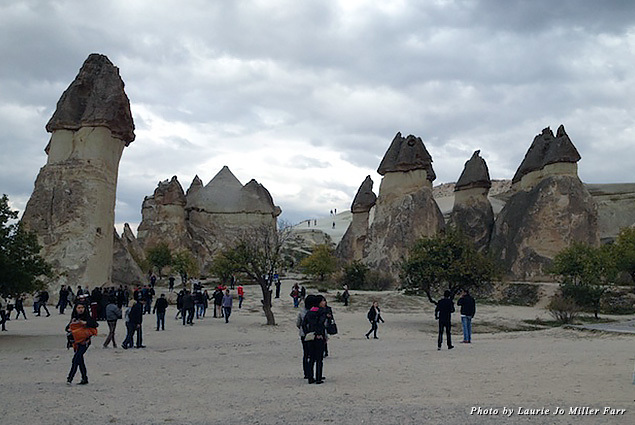 Mother Nature is clearly having a good giggle about her fairy chimneys. Hundreds of pillars are the result of erosion following volcanic eruptions millions of years ago that covered the region in thick ash, solidifying into soft rock called tuff. Wind and water erased all but the harder elements, leaving valleys, cliffs, and amusing pillars rising up to 130 feet. There is a serious side to the landscape. 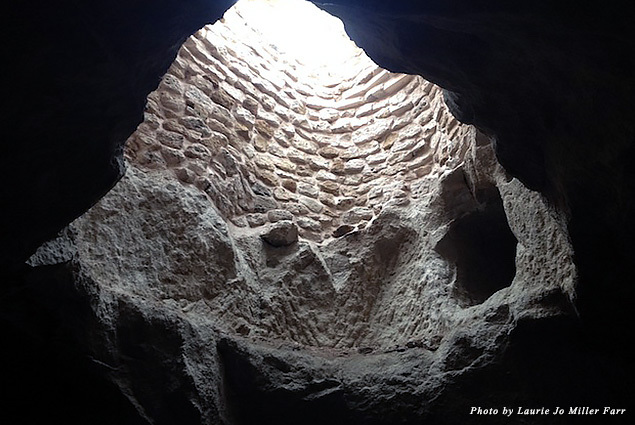 Escaping religious persecution from the Romans, Cappadocians moved from the soft rock into elaborate subterranean cities beginning in the 4th century. 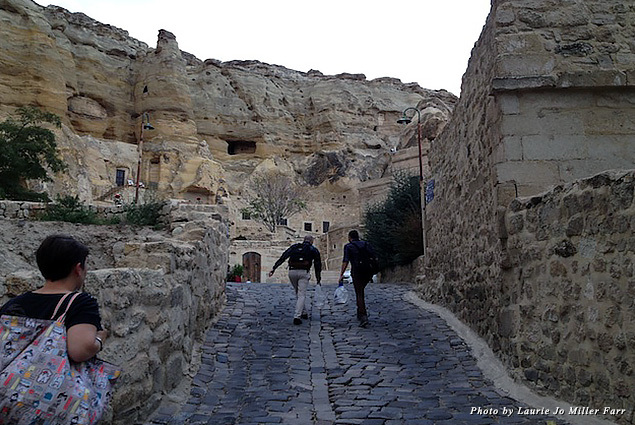 Communities up to 20,000-strong hid for weeks in the honeycomb of caves extending five stories deep. 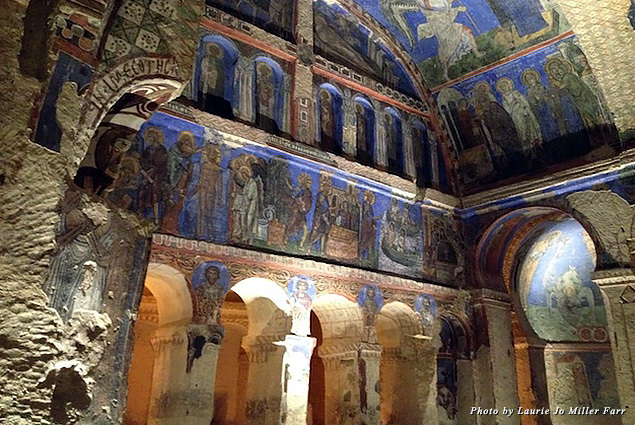 Beginning in the 7th century, monks excavated monasteries and churches, decorating cave walls and ceilings with Byzantine frescoes tinted with lapis lazuli, red ochre, lizardite, and other mineral pigments. The vibrancy of their coloration over a millennium is attributed to lack of light and natural subterranean temperature controls. Tokali Church has some of the most outstanding examples of paintings in its four chambers, telling Biblical stories that a knowledgeable guide can interpret for visitors. 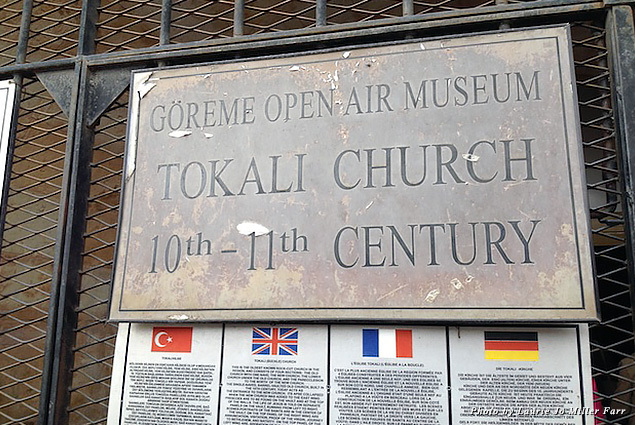 Of the 700 churches discovered, half a dozen of the best preserved can be visited in the Göreme Open Air Museum, a national park and a UNESCO World Heritage Site. 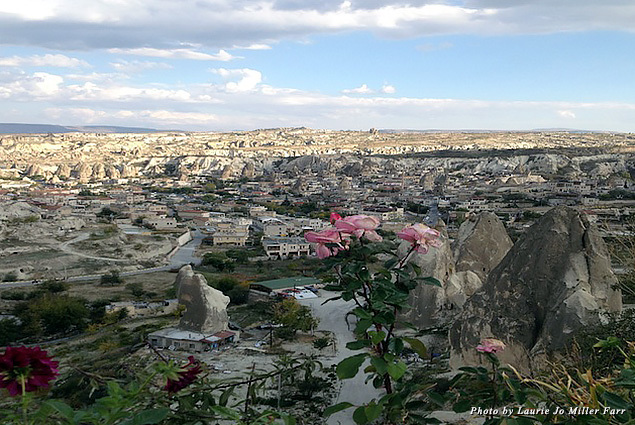 To this day, some of Cappadocia’s troglodyte dwellings are private homes, artist studios, restaurants, and hotels. Check into Yunak Evleri, or another authentic cave hotel, float across the scene on a pre-dawn hot air balloon ride, and hold your breath at a silent outdoor evening performance of the whirling dervishes for once-in-a-lifetime experiences that truly capture the essence of the place. 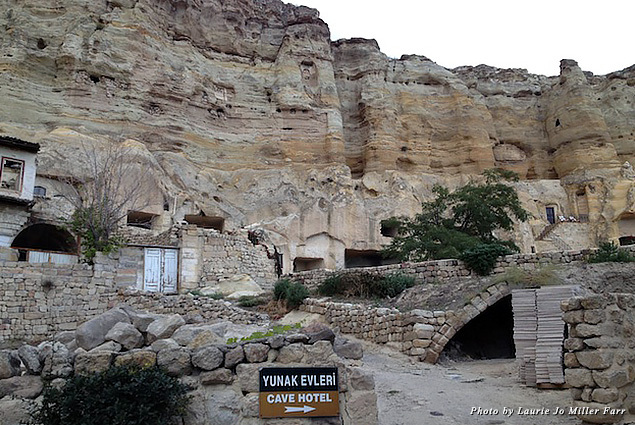 Just remember: Things such as Wi-Fi and windows aren’t necessarily the stuff a cave hotel is made of. Don’t unpack and zip up your suitcase when you go out for the day. Fine, yet persistent and inescapable, crumbling powder descends from the ceiling round-the-clock, so everything gets covered with volcanic dust—including your bed. Habitual snorers be warned. 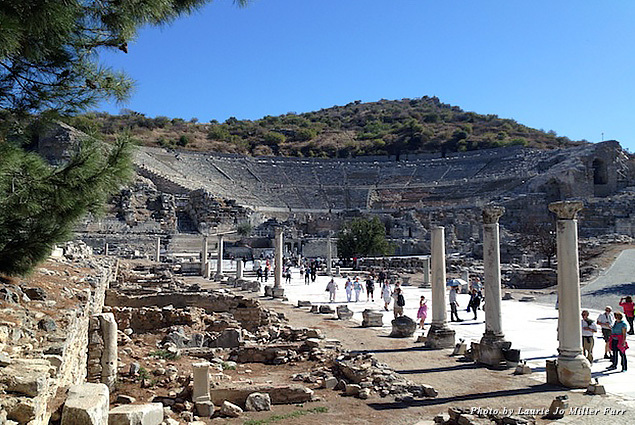 If you appreciate ruins, get ready: Ephesus is the most outstanding UNESCO World Heritage Site on the Mediterranean, so there is likely to be a crowd. The site of this ancient Greco-Roman city is right off the Ionic coast, so cruise line itineraries feature it as well. A succession of famous civilizations—Greek, Persian, Roman, Byzantine, and Ottoman—called Ephesus home. The size of ancient amphitheaters gives historians a guide for judging the population of an ancient city. 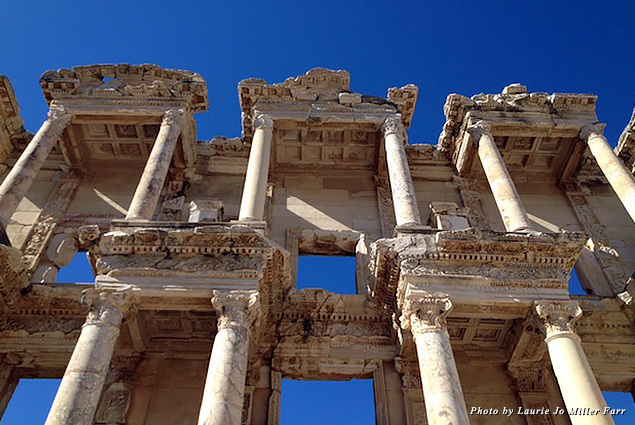 For Ephesus, estimates reach up to 300,000 at its peak in the second century. Nearly four times larger than the Athens’ hilltop Parthenon, this was home to the temple to the goddess Artemis, one of the seven wonders of the ancient world. 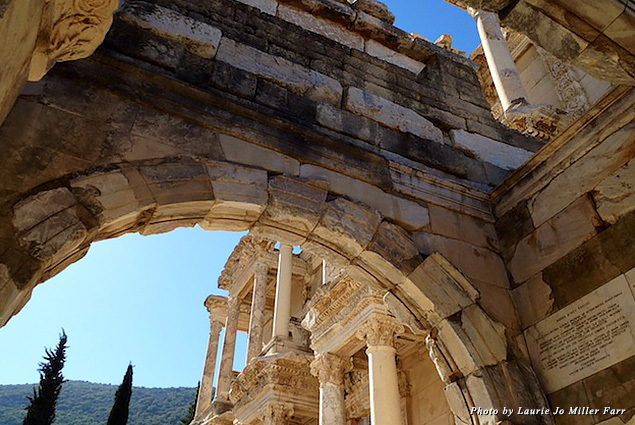 Ephesus can be fully appreciated by amateurs and historians alike for being such an extraordinary snapshot in time. 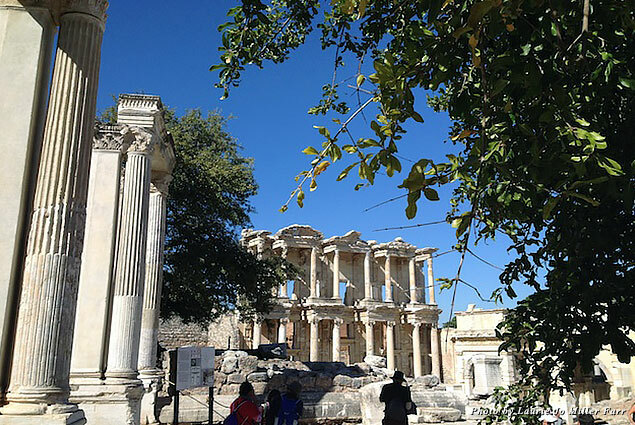 Remnants of the Great Theater, Temple of Hadrian, Library of Celsus, Curetes Street, and the Marble Street, gates, façades, monuments, and terraced houses are so well preserved that the place evokes ancient classical civilizations without really trying. A guide will add infinitely to appreciating more about the long history of the place. A small stone house five miles from Ephesus is said to have been the home of the Virgin Mary, where a shrine blessed by Pope Leo XIII, Pope John Paul II, and Pope Benedict XVI is open to visitors. The streets and amphitheaters of Ephesus are mainly marble, so they’re quite slippery. Shade is rare and sunshine reflecting off the marble makes it a hot and sunny place. Now six miles inland due to the build-up of silt, the city of Ephesus was once a port located on Turkey’s Mediterranean coastline. Hundreds of resident cats in Ephesus are fed and looked after by caretakers, residents, and visitors. They’re pretty much part of the scenery, draping themselves upon stone pillars for photo opportunities. Although the ruins cover a large area, only about 10 percent of the ancient city has been excavated so far. The author was a guest of Trafalgar. 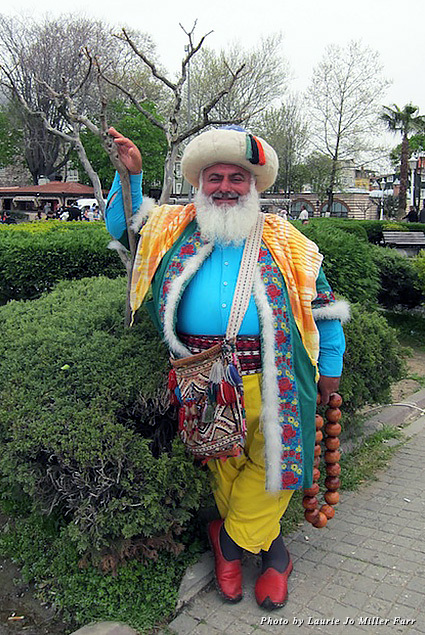 Their “Best of Turkey” program covers Istanbul, Gallipoli, Ephesus, Cappadocia, and more, providing professional guides and insider experiences.